Chinese smartphone firms that dominate their country’s market are now rapidly moving into India, where Samsung has taken the lead over the past six years. According to a report released by Counterpoint Research on Tuesday, Samsung barely retained its top spot with a 22.8 percent share in the Indian smartphone market during the third quarter. Chinese smartphone maker Xiaomi closely followed with a 22.3 percent share in the same period. Another research firm, Strategy Analytics, showed Samsung had a 26 percent share, while Xiaomi had a 25 percent share in the July-September period. Three Chinese firms, Vivo, Oppo and Lenovo, all ranked in the top five with 10 percent, 9 percent and 7 percent shares respectively. The combined share of Chinese firms in the Indian smartphone market stood at 57 percent during the quarter, a sharp rise from 1 percent in the third quarter of 2012. With a population of 1.3 billion, India has become the world’s second-largest smartphone market, outstripping the US -- which has a population of 320 million -- in the third quarter of this year with shipments of 40 million units. The gap is expected to grow wider, according to industry watchers. Chinese companies, which boast affordable yet quality phones, are now solidifying their presence in India, where budget phones account for around 97 percent of the market. “Models such as the OnePlus 5 which are high-spec devices but cost almost 40 to 50 percent lower than the competition’s offerings … are eating away into the share of established brands such as Samsung and Apple,” said Karn Chauhan, a research analyst at Counterpoint Research. The OnePlus 5 is made by the Chinese firm OnePlus, whose parent company is Oppo. 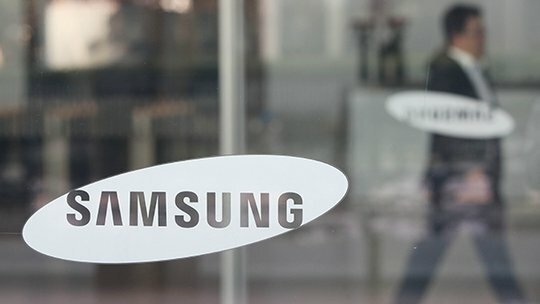 Samsung is also facing setbacks in China with the rise of Chinese alternatives including Huawei, Xiaomi, Oppo and Vivo. Samsung, once the dominant player in China with a share of around 20 percent, ranked ninth in the world’s largest smartphone market, with a 2 percent share in the third quarter, according to a report earlier this month by Strategic Analytics. This share is predicted to further drop to 1.6 percent in the fourth quarter, the report said.